This was a delightful craft project I did for Crafty Magazine and I just found this post hidden in my drafts, better late than never! 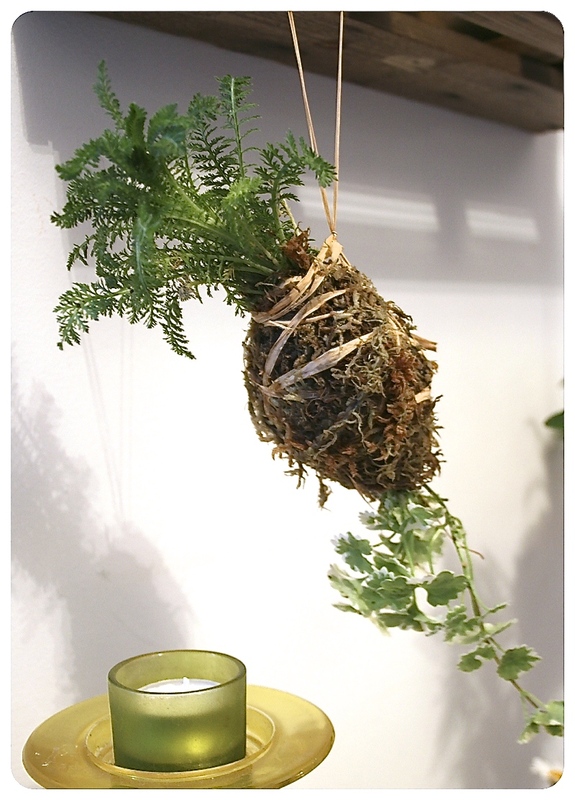 Inspired by the Japanese art of Kokedama or moss ball making, where plants are held in a suspension of earth bound by moss and string or wire. There’s a great article on it here. 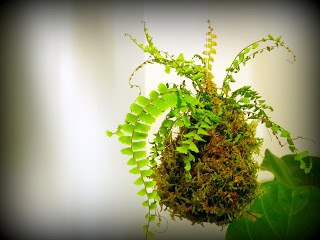 The Kokedama faithful use peat moss and akadama but these aren’t widely available so I decided to experiment with peat free compost, ‘normal’ soil and some gardening grit and found I could achieve a ball shape just as well. 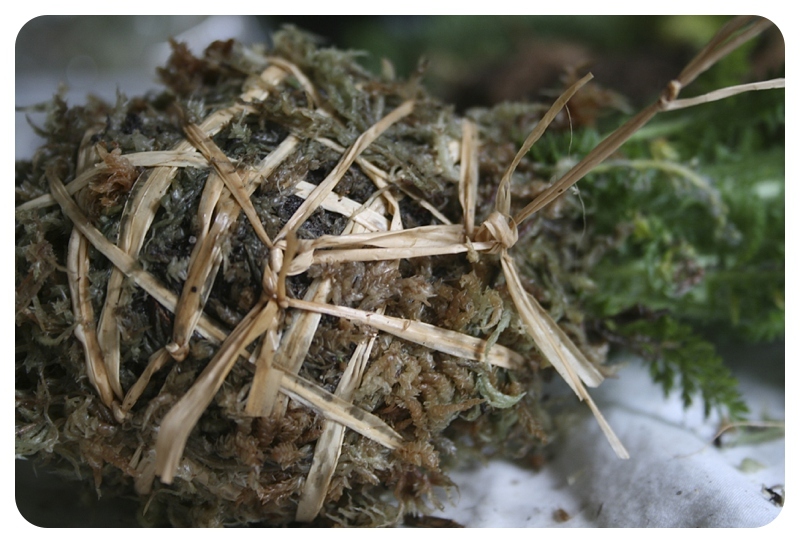 I used some gardening twine as I wanted a wrapped look, but if you want more moss showing, thin black cotton cord will give a more natural look. 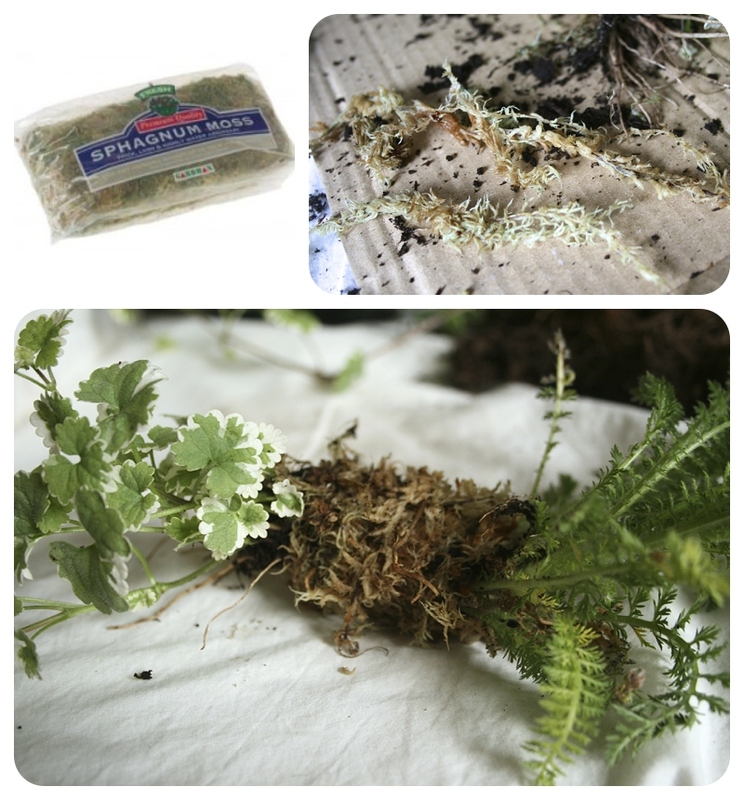 First I chose my plants and it’s best to opt for those whose root system is fairly robust and can be separated into small sections easily, like grasses or ferns (but you can use pretty much any small plant / leafy section. 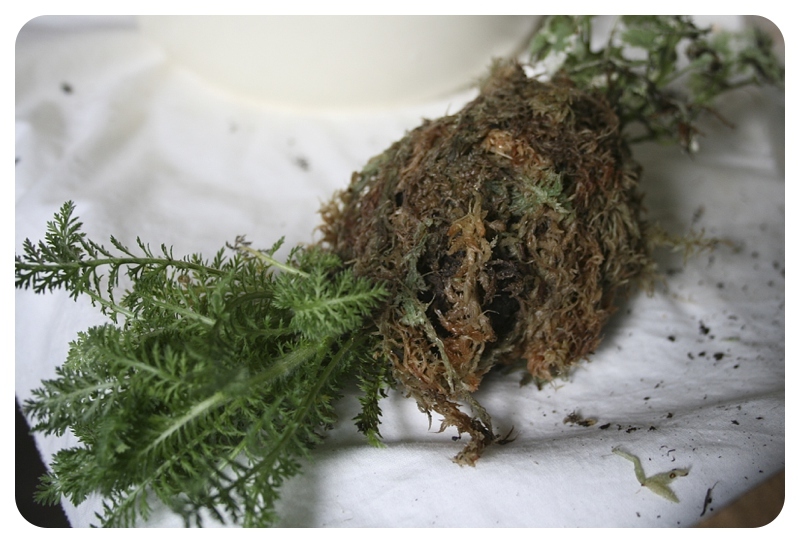 Gently tease the roots apart to get the size you want, as below. 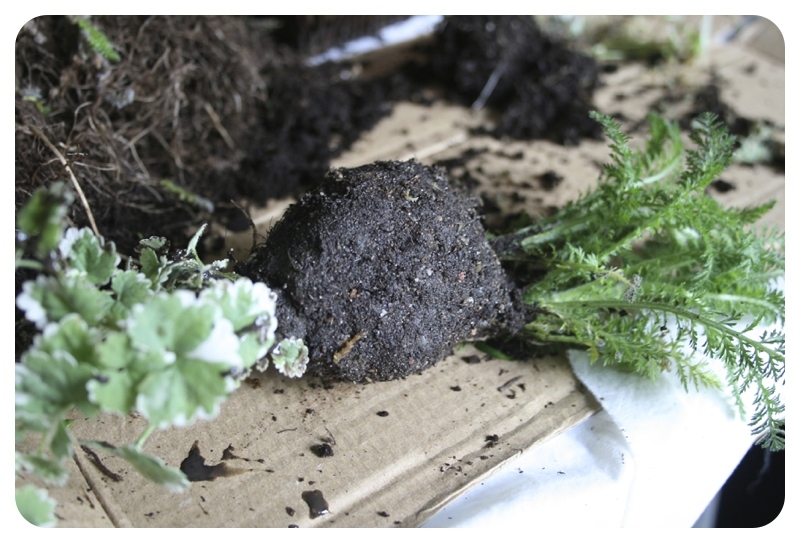 Form a ball of soil around the roots of your plants as below, large enough to allow some root growth, mine was approximately 3 inches or 8cm in diameter. These look great – well done. I must give this a go – Thank you. 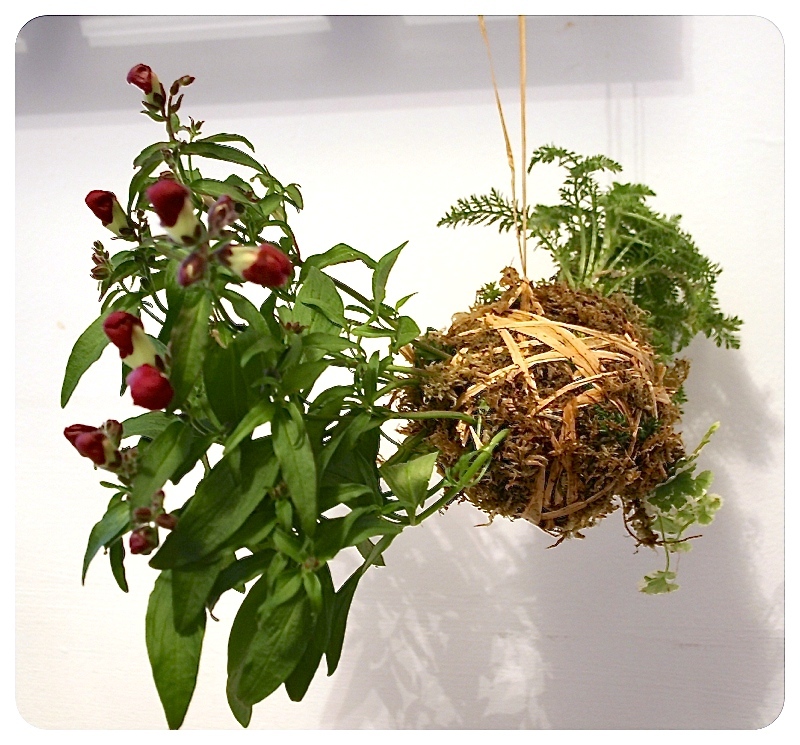 I’ve got more conventional hanging baskets but am always looking for new ideas.